This sulphate-free, dandruff-fighting Olive & Macadamia Healthy Hydration Shampoo by Plum harnesses the plant-power of hibiscus and rosemary, and a new-generation plant-derived dandruff fighter, to deliver anti-dandruff activity that's gentle, yet effective, compared to zinc-laden shampoos. 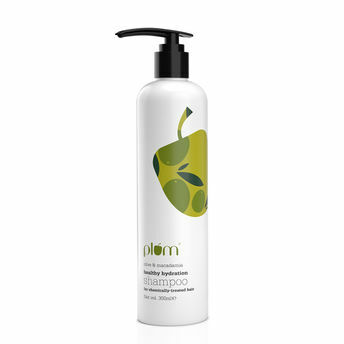 Its silicone-free formula drastically reduces product build-up on hair, and keeps your hair light, fluffy and happy! Explore the entire range of Shampoo available on Nykaa. Shop more Plum products here.You can browse through the complete world of Plum Shampoo .